Just before 3pm on March 30, 1979, just a few weeks before Margaret Thatcher became prime minister, a bomb exploded that shook the Palace of Westminster. 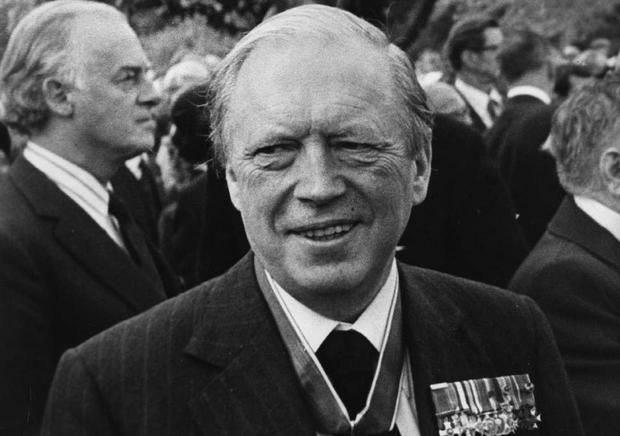 The attack by the small but deadly Irish National Liberation Army (INLA) killed Airey Neave, a World War II hero and legendary escapee from Colditz prison camp, who had helped Thatcher become leader of the Conservative Party. Neave was bound for high office and was Thatcher's shadow secretary of state for Northern Ireland when the bomb ripped his car apart in the House of Commons car park 40 years ago this month. The friend of the future prime minister had inevitably become a target for terrorists due to his hardline stance on Northern Ireland. He believed in a military solution to the Northern conflict, fighting fire with fire, and supported the death penalty for political murder. This propelled him to the top of the republican hit list. Neave admired Thatcher as "brilliant and beautiful" and helped to plot her takeover of the leadership of the Tory Party in a backroom heave in 1975. By this time in his life, Neave was best known for his wartime exploits and the epic story of his escape from Colditz, the German fortress that held prisoners who had escaped from other camps. His story is told in occasionally compelling detail by the military historian Patrick Bishop, using Neave's memoirs, his private diaries and interviews with his family, friends and colleagues. Neave first escaped from a German POW camp in Western Poland when he had gone to visit the dentist, and was recaptured as he ventured east in a bid to enter territory occupied by the Soviets. While many soldiers might have been tempted to stay put in the relative safety of prison until war's end, he was determined to escape as a POW. To him, the sensation of freedom was "like a drug which brought an intense pleasure, an exquisite unburdening of the soul". At the Colditz fortress, he got away at his second attempt using a trapdoor below the stage of the camp's theatre. Prisoners discovered that they could pass through a passageway along an enclosed bridge to a gatehouse. Neave and an accomplice left the prison disguised in German army uniforms, and then changed into civilian garb, posing as Dutch electricians who had volunteered to work in the Reich. They were carrying forged identity papers, travelling by train and trudging through snow to the Swiss border. Once back in England, he was recruited by MI9, an intelligence organisation that helped Allied airmen to escape from occupied Europe. The Saturday in the title refers to his codename as an intelligence officer. The most engrossing passages in Bishop's account are the stories of his escapes and his role in the elevation of Thatcher to the leadership. In advocating an aggressive stance in Northern Ireland, Neave not only incurred the wrath of violent republicans, he was also distrusted by politicians across the spectrum South of the Border. Bishop quotes Richie Ryan, the senior Fine Gael politician who died in recent days. He described remarks in one of Neave's speeches in the 1970s as "ill-informed, anti-Irish and rabble-rousing". Echoing sentiments that we have heard recently in the context of Brexit, Ryan said Neave belonged to a small group of English politicians "who knew little about Ireland and understood even less".